With the announcement that Meghan Markle and Prince Harry are engaged and will be married sometime next year, attention is being refocused into Markle’s private life, especially her previous relationships. Did you know Meghan Markle was married once before? 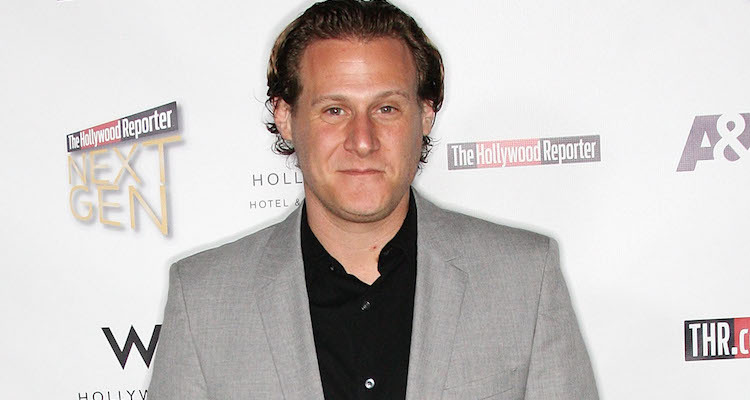 Meghan Markle’s ex-husband is a man named Trevor Engelson. We’ll take a look at everything from his work to why Trevor Engelson and Meghan Markle broke up. This Trevor Engelson wiki has everything you need to know about the future Princess’ ex-husband. Born in Great Neck, New York on October 23, 1976, Trevor Engelson’s age is 41. Not much is known about his early years, but it is believed that he grew up in the New York area. His personal life was rather quiet in the press up until the point where he began working in the film industry and met Meghan Markle. We aren’t sure where or when Markle and Engleson met, but what is known is that they began dating in 2004. The couple were engaged in 2010 and got married on September 15, 2011, in Ocho Rios, Jamaica at the Jamaica Inn. The marriage did not last as “irreconcilable differences” were cited when they divorced in August 2013. Markle and Trevor Engelson’s divorce was a fairly uncomplicated affair as the two did not have children, and neither Markle nor Engelson had kids from previous relationships. Engelson’s net worth is currently unknown. The divorce does not seem to affect Markle and Prince Harry’s upcoming nuptials already received heartfelt congratulations from the Queen, and warm wishes from the Archbishop of Canterbury. But interestingly, this divorce would add something interesting to Engelson’s work life. Engelson started his way from the bottom in Hollywood as a production assistant on films like Safe Men and Deep Blue Sea. Eventually, the hard work paid off and he started working his way up the ladder until he became a producer. Engelson went on to produce and executive produce films like Zoom, Alien Outpost, and Remember Me (which also featured a small role played by Meghan Markle), as well as some television work. Engelson has been working on Snowfall, a series about the early days of the crack cocaine epidemic that struck Los Angeles in the 1980s. He’s also been hard at work producing Heathers, which is a series that’s loosely based on a dark comedy of the same name from 1989 that starred Winona Ryder and Christian Slater. But what really caught people’s imaginations is another one of his television projects. Trevor Engelson had a conversation with his friend and business partner about his divorce. The friend mentioned how different the divorce might be if Markle and Engelson had children. Out of this came the idea for a show about a divorced couple where the ex-wife went on to marry a prince, leaving the husband to share custody of his kids with the royal family. Engelson went on to say that none of the characters are based on reality, but were inspired by a “what if” situation. While it doesn’t have a full series order, the show is preparing to become a pilot for Fox with Modern Family executive producer Danny Duker writing the pilot, and Speechless director Christine Gernon signed on to direct.